I don't know about you, but it sure doesn't feel like December around here. Maybe it's the unseasonably warm weather or maybe it's that I've been working like a maniac for all of fall and barely noticed what day of the week it was, but either way, how is it December already?!?! Weather you like it or not, holiday punches are upon us and if your family is anything like mine, they are demanding a new punch every year! 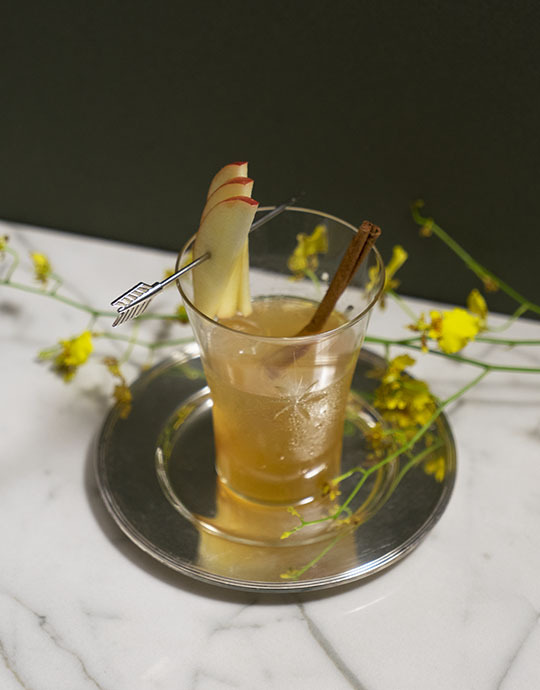 This Ginger Apple Punch is great served cold or hot, and is a nice and refreshing libation that is a welcome reprieve from your Aunt Mauve's Eggnog. 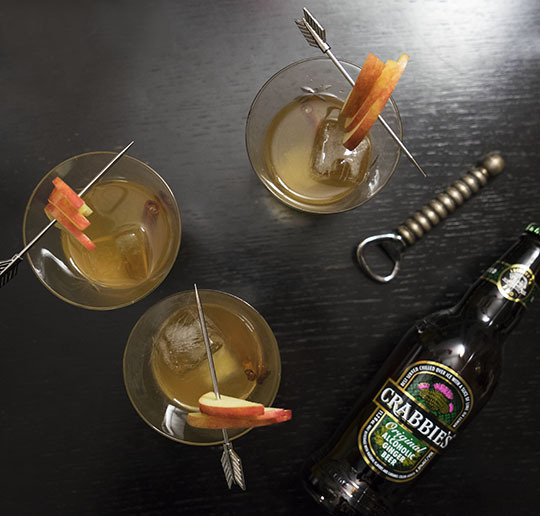 Apples and Ginger go together perfectly, and I love using Crabbie's Original Alcoholic Ginger Beer for this recipe. 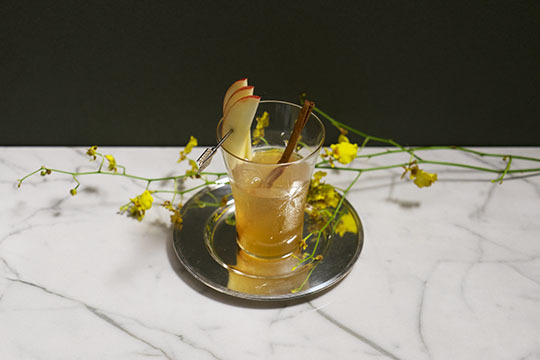 It is made with naturally fermented ginger that is steeped for 6 weeks, which gives it its powerful ginger flavor. 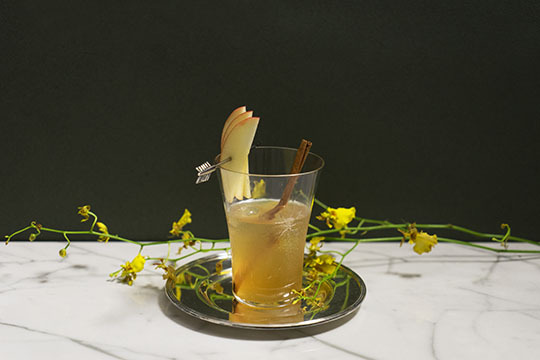 This cocktail is a crowd pleaser and is perfect to serve to large groups – it’s sweet, spicy, and has just enough spicy kick to keep everyone wanting more. 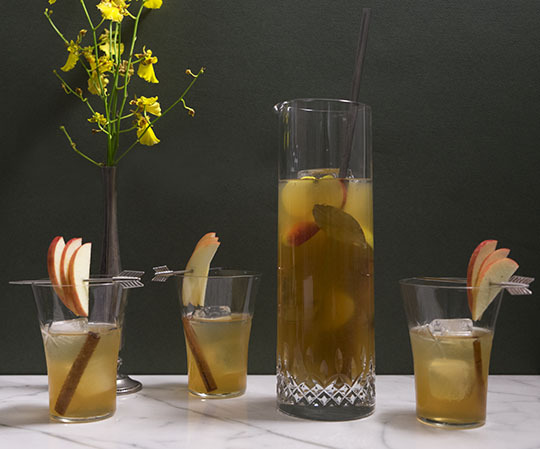 If you are serving this punch chilled, remember to prepare the sour mix and the tea ahead of time so that it has time to cool prior to mixing. 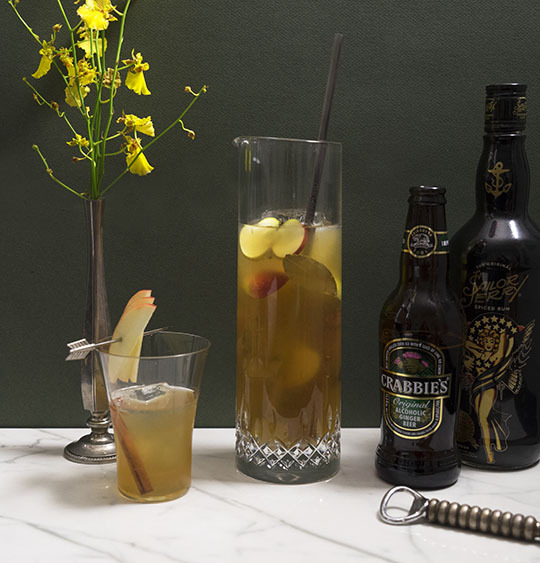 I recommend pre-mixing a few batches on hand – this punch will go quickly! 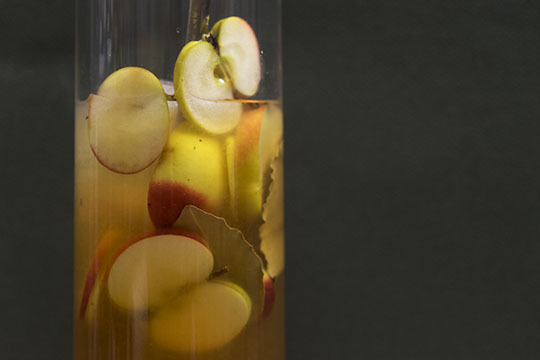 Build in a pitcher and garnish with bay leaves, whole cinnamon sticks, and apple slices. Simmer on med-high heat until all the sugar has dissolved. Wait until cool and add lemon and lime juice. Store in the refrigerator for up to 2 weeks in a non-reactive container.